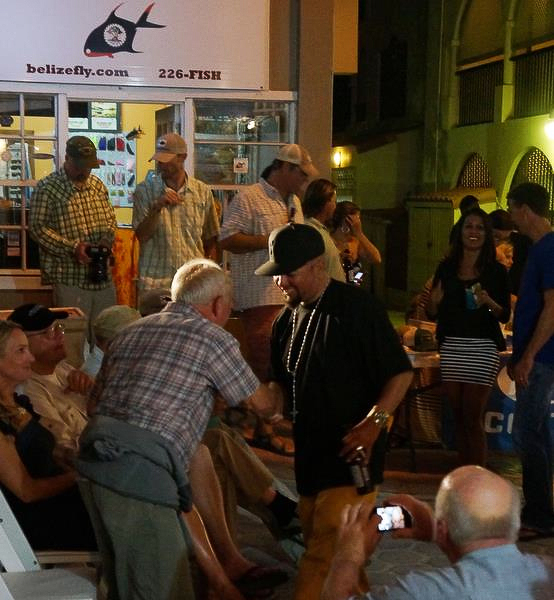 Press Release-Tres Pescados Fly Shop, Saturday May 4, 2013- On Saturday night, May 4th fishermen of San Pedro descended upon the Tres Pescados Fly Shop for the Fly Fishing Film Tour presented by Costa Del Mar. 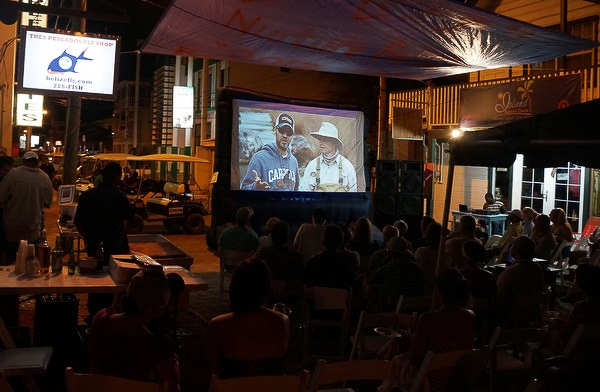 The night started with a presentation to local legend Mr. Carlos Marin. 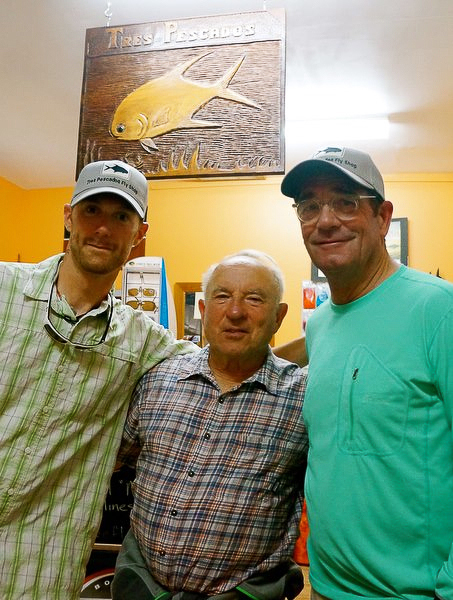 Because of his life-long contribution to the sport fishing community in San Pedro, Mr. Marin was presented with a LIFETIME ACHIEVEMENT AWARD by Alyssa Flota of El Pescador. 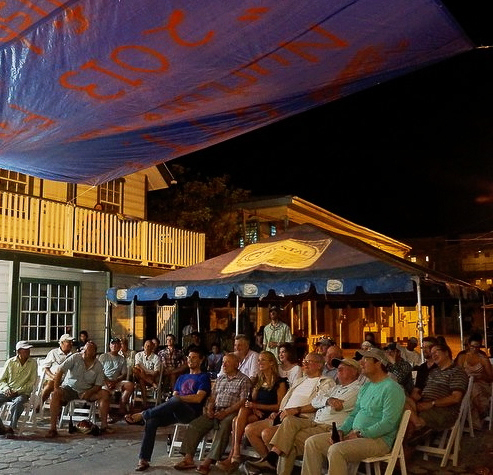 Also in attendance were the cast & crew of the Buccaneer’s & Bones TV series. 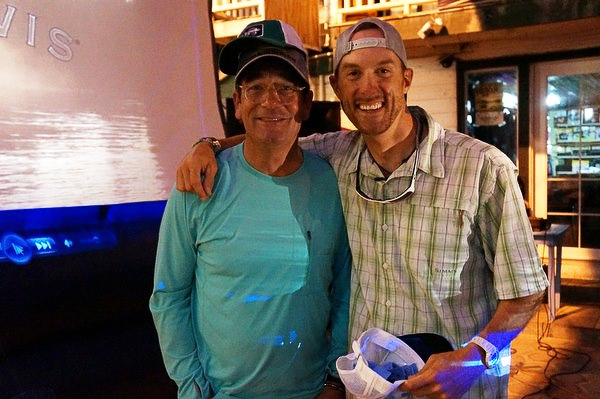 Among the cast was former news anchor Tom Brokaw, musician Huey Lewis, angling legend Lefty Kreh and Patagonia founder Yvon Chouinard. 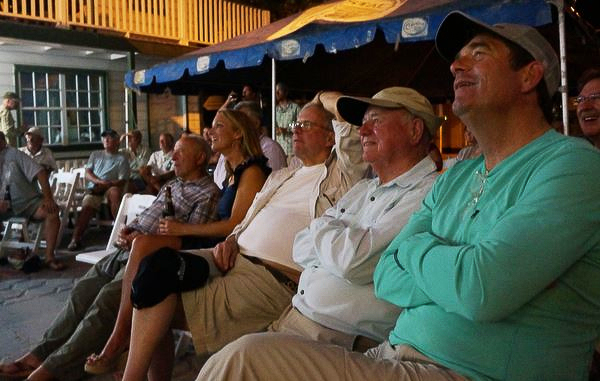 The evening was filled with fly-fishing videos from around the globe. 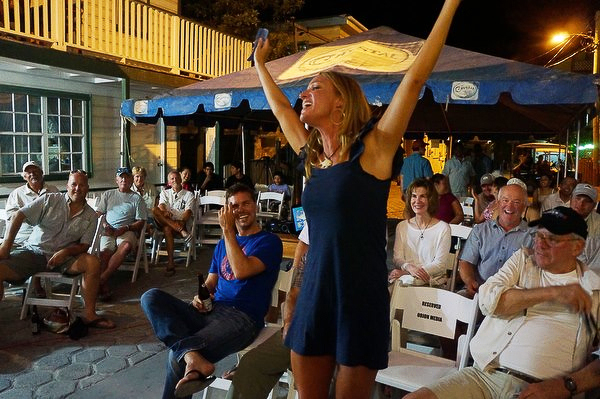 Those seated in the crowd had a chance to win fabulous prizes such as COSTA shades and a YETI Cooler. 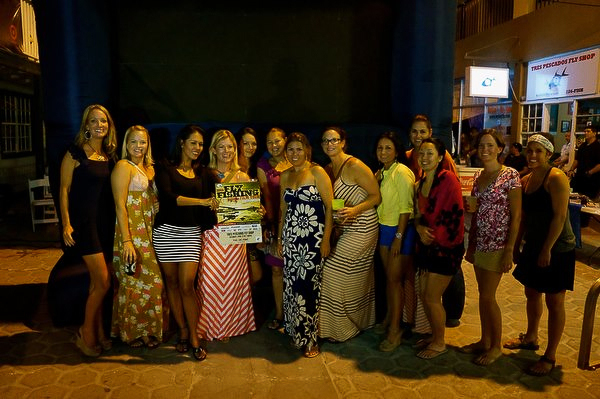 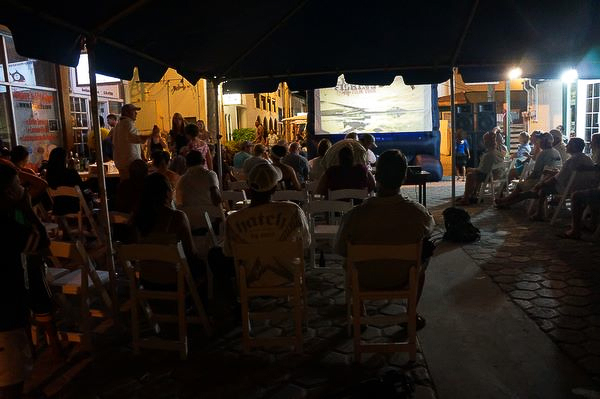 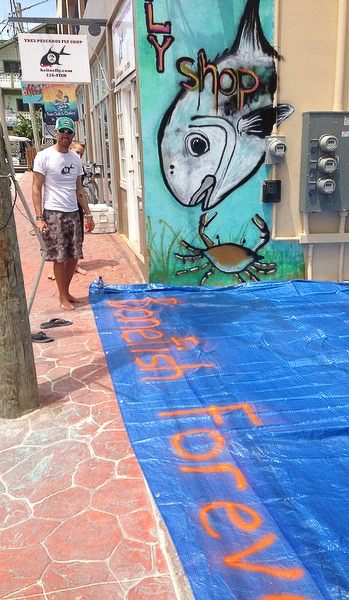 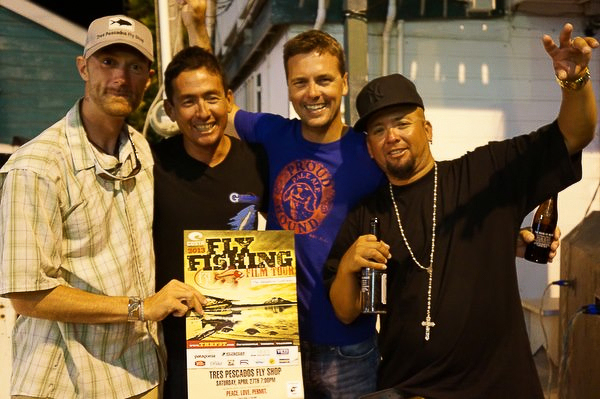 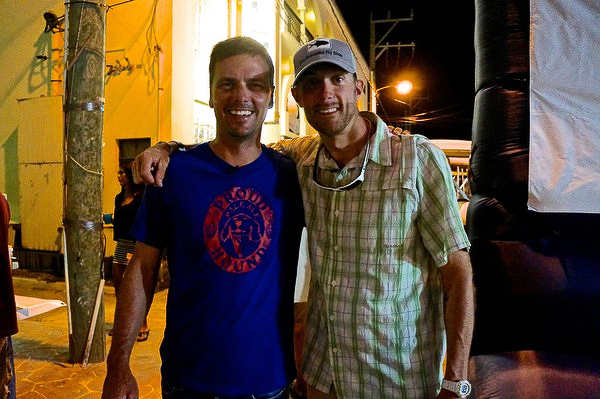 In the end, the event raised $1130USD for the bonefish, permit and tarpon of Belize!